18 Types of Paid Time Off - DaysPlan, Inc.
We all want to know what the best paid time off option is for our employees. Truthfully, the answer is, it depends. Before considering a time off benefits policy, ask your employees what they want. The best way to maximize a return on investment for your benefits offering is to let employees tell you what is most meaningful to them. In order to accommodate the varying needs of different employees, many companies are implementing a generic paid time off program to lump all types of paid leave into one bucket of time off. For example, if you offer 10 days of vacation, 5 days of sick time, three days for bereavement, and 10 holidays, you could lump all of those together and give employees 20 – 28 paid days off per year that they can use however they want. This gives employees greater flexibility and makes it easier for managers to track. Short-term and long-term disability, FMLA, and Military leave must be tracked separately to comply with federal law. A paid, extended period of recreation and fun away from work. A paid day of leave from work for reasons other than illness or vacation, taken at the employee’s discretion. A paid holiday is time off from work for rest and recreation on a publicly recognized holiday. A paid holiday selected by the employee. Can be used for holidays otherwise not recognized by the employer. Paid absence from work granted when a death occurs in an employee’s immediate family. Immediate family members are the employee’s spouse, parents, parents-in-law, sons-in-law, daughters-in-law, grandparents, grandchildren, brothers, sisters, children, and members of the same household. Paid absence from work granted when the death of a pet occurs. An authorized absence from work that enables employees to complete compulsory jury duty service in an established federal or state court without sustaining a financial loss. An authorized absence from work that enables employees to fulfill military obligations as members of the United States Armed Forces (including National or State Guard). Military leave under USERRA provides job and other protections under federal law. Some employers offer a pay supplement plan to offset the difference between the employee’s regular pay and pay offered to the employee for their military service. Paid leave for a woman who is pregnant or has just given birth. Paid leave from work for fathers following the birth of their child. Paid leave granted for situations causing an employee’s inability to report for or continue scheduled work because of emergency child care requirements, such as the unexpected absence of the regular care provider, the unexpected closure of the child’s school, or an unexpected need to pick up the child at school earlier than normal. Paid time off to participate in community programs and other non-profit volunteer activities. Paid professional leave for the purpose of pursuing study/education related to the job. Paid time off to attend conventions or seminars related to the job. While it is critical to consider what types of paid leave are most meaningful for your employees, you must also consider what your financial restrictions are. We may all want to provide ample time off programs for our employees, but may not be able to foot the bill. It is easier to give it than it is to take it away. So, plan accordingly for long-term costs. It is permissible to tie company performance with increased time off benefits. If the company performs well, a reward can be additional paid time off. Federal law does not require paid leave. However, some states do mandate certain types of paid time off. Please check with your state to determine what your requirements are for paid time off. DaysPlan is a growing suite of products that aims to provide an integrated Work Time Management software for organizations world-wide. 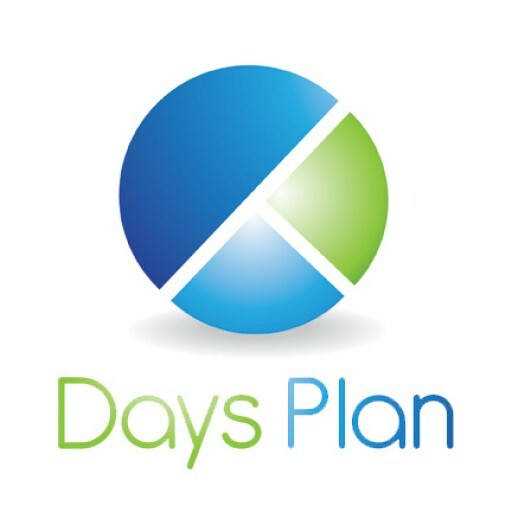 DaysPlan, Inc. started as a vacation tracking software company in 2012, it later added Time sheets for Clock In and Time sheets for Projects/Tasks to the product line up. It has grown by being customer driven - adding features that solve issues faced daily by its customers and making it easier for them to manage their work time. We are focused on providing the best support to our customers. Every company is different and we recognize that we need to make our software flexible so that it can work for all our customers - big and small. Join over 20,000 professionals to receive the latest news and updates from our team.